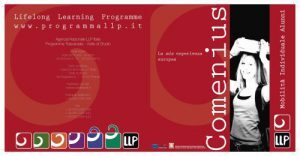 Oggi abbiamo deciso di raccontarvi il resoconto dell’esperienza che alcune classi del nostro Istituto hanno vissuto grazie al programma di collaborazione Global Teaching Labs (GTL) che consente di ospitare un laureando/a del MIT -Massachusetts Institute of Technology – per l’insegnamento di discipline scientifiche in lingua inglese. 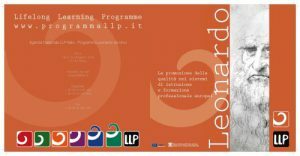 Sinteticamente, gli obiettivi di questa collaborazione sono: per MIT, l’opportunità di testare materiali open source preparati per le scuole superiori e offrire ai propri studenti un’intensa esperienza formativa; per i docenti delle scuole italiane, l’opportunità di entrare in contatto con una metodologia didattica meno tradizionale, basata sull’approccio hands on, e cogliere stimoli ed idee per l’insegnamento; l’iniziativa permette anche di raccogliere materiale didattico in lingua inglese, utile per la preparazione di lezioni CLIL, ma soprattutto per i nostri studenti, essa rappresenta l’opportunità di vivere un’esperienza didattica qualitativamente significativa e potenziare l’uso della lingua inglese. Quello che è realmente accaduto lo affidiamo alle parole della stessa Stephanie. This past January, I have been teaching mathematics and informatics at the Einaudi Pareto high school as a part of the Global Teaching Labs (GTL) program offered by MIT, in collaboration with high schools around the world. This experience has been unique in many ways, giving me the opportunity to immerse myself in Sicilian life, develop my communicating skills, and learn more about the education system in southern Italy. I started teaching on January 7, 2019, not knowing what to expect. Even though I had made some lesson plans, I still felt underprepared and was worried that my students wouldn’t like me. However, my concerns were quickly dissipated, as Maria Puccia and Salvo Gallo welcomed me warmly into their classrooms on that first day. The professors were very kind, and the students were friendly and fun to work with. For the informatics courses, I taught Python, C++, and introduction to HTML/CSS. I also worked with Giovanni Ustica and Giovanni Alessi, teaching on topics like linear functions and derivatives. On Friday mornings, I spent two hours in Lucia Provenzale’s classroom in the Einaudi Pareto sister school, working with her students on rational functions, limits, and applications of mathematics to economic problems. One thing that I wish I knew, coming in as a teacher for Einaudi Pareto, was how to speak Italian. The language barrier was somewhat of a challenge, since I had to practice speaking slower than usual and to find more creative ways to communicate my presentations to the students. I think it helped me be more conscious about the way I communicate with other people and made me more aware of the limits of the English language. Even so, I was lucky to be teaching informatics and math, because they are both universal (or almost universal) languages. For example, Python in the USA looks the same as Python in Italy, as does C++, HTML, and CSS. To the dismay of my students, these programming languages involve some degree of English. One time someone asked me if it was possible to program in Italian, but unfortunately, the answer is no (for now). I hope this will motivate them to continue learning both English and informatics simultaneously. I was impressed by the students who tried their best to follow along as I delivered my lessons in English. Some of them picked up on new concepts more quickly than I expected, but I was pleased to see their progress in just a few short weeks. I only wish that we could have had a few more days, as there were many things that I had hoped to teach but did not have the time. Overall, though, my experience with Einaudi Pareto has been an amazing one. I am grateful to my students for adjusting to my English, to my teachers for trusting me to teach their students, to Ida Mariolo and Rosalia Urso for helping to coordinate the program, and to Rita DiMaggio for graciously hosting me in her home for my three weeks in Palermo. Outside of teaching, I had the opportunity to tour the city in the afternoons and to travel the rest of Sicily on the weekends. In the future, alongside my studies in computer science, I hope to continue staying involved in educational initiatives and cross-cultural experiences.